Working with Gavin and his team made my first-time home purchase so much simpler than I thought it would be. As a first-time home buyer I wasn't sure how to search for a broker and I was worried about landing someone who would pressure me into making a purchase right away. A friend recommended Gavin to me and I am so thankful, because it was a great experience. Gavin and his team not only take their role as brokers seriously, but also their role as educators. I knew nothing about purchasing a home, but Gavin was always patient no matter how many times I asked the same question. I always got replies promptly and I felt that the team was really working with me throughout the day, into the night. And I never once felt pressured to go in on a condo that I wasn't satisfied with, or to begin changing my criteria without fully exploring the areas I was interested in living. Even my mom liked Gavin, and she's not an easy one to please! :) With Gavin's help I was able to find a condo in a location and at a price that I was happy with, and I'm excited to make this new place my own. For an informative and successful home-buying experience, I would definitely recommend the Gavin Chen team. I worked with the Gavin Chen team to purchase my first condo. I worked mostly with Ryan, who was very friendly, available, and very patient when it came to dealing with all the different aspects of the purchase process. The whole experience was enjoyable, easy to understand and adjusted to my own needs and expectations. I put forward my endorsement for anyone who is the market in the GTA. Gavin's impeccable response time and sensitivity to Toronto's unpredictable market was very valuable and reassuring for a first-time home buyer. His 'can-do' attitude and strong work ethic is complimented by his equally effective office. Having Gavin on my team gave me confidence that negotiations would be conducted with professionalism and integrity. Thank you Gavin and Elena! M.S. chose Gavin to assist in the real estate transaction because of Gavin's Skill / Knowledge | Reputation. We were quite pleased with his knowledge and expertise and felt he made a large effort to understand our needs and wants. Gavin comes across as a very competent, likable guy who immediately relays to you that he knows what he is doing. He was, i'm not ashamed to admit, quite exceptional. If I had any gripes about his performance it would be that the communication between ourselves (not including the sale mind you) around viewings that were organized, the no shows could have been better. At times I was not sure what the state of play was due to the non communication. HOWEVER having said that I was (as i said) quite impressed with Gavin and he was able to put up with my difficult personality. would definitely recommend him to a friend or family. I enlisted Gavin to help me with my first home purchase. 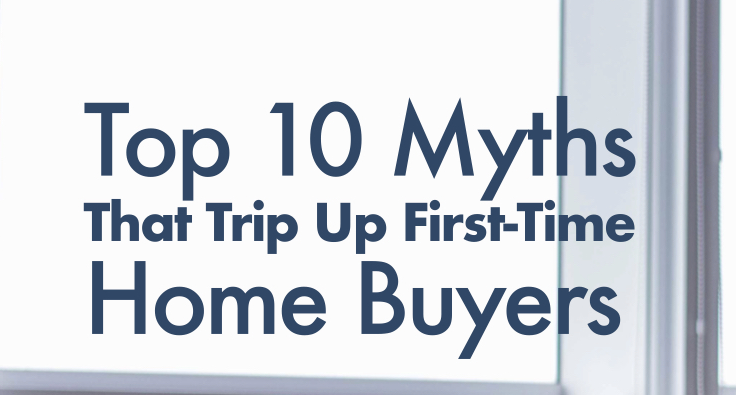 As a first time home buyer, it can be very stressful and I was nervous. I'm a skeptical person so I asked questions (a lot of questions!) but he was always patient and knew exactly all the info to provide me with. I was extremely lucky to have someone like him step me through the process. So when it was time to sell, I contacted Gavin to help me. He provided the same superb service again and I couldn't be more pleased with the result. He is genuine, trustworthy and really do put his clients best interest first and foremost. I would be happy to recommend him to everyone! Gavin Chen and his team delivers top-notch services to make your real estate dreams come true. I had big dreams for the sale of my condo and it all came to fruition. A.S. chose The Gavin Chen Team to assist in the real estate transaction because of referral and rated 5/5 for overall performance. Gavin made the process easy and was able to get us a great deal on our new home. We will certainly use him for our future real estate needs. I have bought and sold real estate for 30 years Gavin is the best agent I have ever dealt with. The house he sold for me was a tough sell. It was in poor condition with a very difficult tenant. He managed this situation with expertise. Over the past 8 years, I have used Gavin three times to find tenants for my condo in the City Place neighbourhood of Toronto. Simply put, he’s extremely effective, professional and gets you the top dollar. My unit was on the market for less than a week in each case. Furthermore, him and his team draft bullet proof leases that ensures landlord piece of mind. Finally, Gavin is able to provide the best advice regarding the updates and renovations required in the unit, since he understands the market and the needs of prospective tenants very well. This was our third time working with Gavin and I wouldn't work with anyone else. Gavin is extremely knowledgeable about the market and incredibly hardworking. We feel he always looks out for our best interest and he went above and beyond with the sale of our previous house as well as the purchase of our new home. We trust Gavin completely. Brian rated Gavin 5/5 for Overall Performance. I have met Gavin during a purchase of a property approximately 18 months ago. From the start I realized Gavin was a superb real state agent providing great advice and having thorough knowledge. Gavin made himself available even after the completion of the transaction and helped me with movers, internet options as well as legal details. I have complete confidence on Gavin and I know he will support me throughout the process of purchase/sale/rental of any property in the future. We were very impressed by Gavin's performance. He really cared about finding the right home for us while at the same being super reactive and available when it was time to negotiate. Thank you ! At every stage, Gavin's help and expertise were exceptional. Ryan was fantastic to work with. He was patient, informative and extremely helpful!! We love working with Gavin. We value his expertise and deep understanding of the market. We have full trust in him and know he is always working in our best interest. Sam used Gavin to assist in their transaction because Gavin was recommended. They also rated Gavin 5/5 for Overall Performance. Always makes us feel like we're his only client, even though I know that's far from true. Very responsive, takes the time to understand the situation and our needs/wants. Matt used Gavin to assist in their transaction because of Gavin's Skill / Knowledge Positive Personality | Assertive | Reputation. They also rated Gavin 5/5 for Overall Performance. Jennifer used Gavin to assist in their transaction because of Gavin's Reputation. They also rated Gavin 5/5 for Overall Performance. Please see video testimonial from Tom and April! Please see video testimonial from Jo and Feargus! Please see video testimonial from Jai and Shalini! Please see video testimonial from Donny! Please see video testimonial from Laurent and Jenna! Please see video testimonial from Kevin and Karla! Please see video testimonial from Alex and Ejona! Please see video testimonial from Brandon! Please see video testimonial from Steve and Susie! Please see video testimonial from Tyler and Kristen! Please see video testimonial from Alex and Lesley! Please see video testimonial from Marc and Elena! Please see video testimonial from Ben and Kimberley! AL used Gavin to assist in their transaction because of Gavin's Skill / Knowledge | Market Share | Positive Personality | Assertive | Reputation | Other: Efficiency. They also rated Gavin 5/5 for Overall Performance. Gavin was stellar. He was recommended to me by a mutual friend and I have already passed his contact information to a couple of friends. I was struggling to even get a viewing before I started working with Gavin. Right from the on set he called me and asked good questions so he could figure out what the right places were. Within 2 days he'd provided me with all the information I needed and got me into a number of places, which were exactly what I was looking for, and four days later, I have a place to rent. My only challenge was that we were looking at only places at the very top of my budget, but I think that is more about the nature of this market. I'm a very, very happy customer. I was fortunate to have my nephew Chris recommend Gavin Chen and Team to me when my sister passed away. As executor of her estate, I was tasked with selling her Toronto home. Living in Windsor, Ontario I had no knowledge of the Toronto real estate market. Gavin took complete charge immediately and arranged for the home to be cleaned, de-cluttered, painted and professional staged for us. He was our on site general contractor handling everything from garbage removal to yard cleanup and carpet cleaning to prepare this house for sale. Gavin and his team executed a first class marketing campaign and sold this house for $1,325,000.00 which was well within our expected outcome. It was definitely a pleasure to work with Gavin and obviously I would not hesitate to recommend him to anyone thinking of buying or selling a home in the Toronto area. "He is our property manager at the moment (though he helped us purchase our house and we intent to engage him to sell our house sometime in the way off future) so we answered the questions in relationship to us renting our home. Lisa chose to work with Gavin because of his 'Positive Personality' and provided the highest rating of 5/5 for his negotiation skills and overall performance." "He showed a lot of patience, having to deal with my two small children on the visits. He refilled for us all the needed papers with the requested modifications like a million times without minding if it was late or weekend. He also provided help and assistance on the next steps after the agreement was done. We are very pleased." "Gavin was our agent for our house purchase in Autumn 2016. We have already recommended him to friends. Fantastic to work with: exceptionally responsive, makes you feel like you are his top priority, very knowledgeable, very patient, aggressive when it came to negotiations, etc. So I am using him again for my Mother's apartment lease and to sell my parents' house." "As far as I'm concerned, Gavin is a miracle worker. He's incredibly knowledgeable about the property market, provided me and my wife with all of the information we needed to feel confident about the sale and purchase prices of our home and was available to us day or night throughout the process. Our close circle of friends have all worked with him over the last few years, and we all feel the same way." "Gavin was recommended to us by our daughter, his previous client. We found him to be exceptional in helping us. He is a consummate professional with great attention to detail. Very helpful, patient and understanding. Will use his services in future if the opportunity presents again." "Gavin was very professional and responsive to every inquiry, no matter the time or day. He gave us over 100 listings and found a suitable apartment within 7 days. It was so painless! I will recommend him to everyoneI know." "Ryan was flexible, understanding, patient and accommodating throughout the entire process. We really appreciated having his assistance." "I recently purchased a new property in downtown Toronto having recently returned to the city from Vancouver. Ryan Ngovu and his team worked hard, were very responsive and provided valuable insight into the Toronto market (including market evaluations and strategy). I would recommend Ryan highly." "N chose to work with Gavin because of his 'Skill, Knowledge, Positive Personality, Assertiveness and Reputation'"
"We liked working with Gavin. He is a great agent. We had some tough requests and it took us a while to find our house. Gavin has been extremly professional, helpful and patient. Thank you again." "He was always patient and professional with us even though we were picky first time buyers who needed a lot of hand holding, and weren't always open to his suggestions on location. He is very knowledgeable and always went out of his way for us. Would definitely recommend Gavin to a friend, and would use him again in future." "On the ball and extremely knowledgeable. Highly recommended"
"Chris chose Gavin Chen to purchase his home because of Gavin's 'Reputation and Assertiveness'""
"As mentioned we've used Gavin's services 3 times in the past 5 years and are always pleased with how professional he conducts himself and more importantly is passionate about providing nothing the best service to his clients." "Steve chose Gavin Chen to sell his home because of Gavin's 'Skill and Knowledge'"
"Gavin's client-focused approach is much appreciated"
"Melanie chose to work with Gavin because of his 'Skill, Knowledge, Positive Personality, Assertiveness and Reputation'"
"We are buying a home in 1 yr and yes Gavin will be our guy! Cant say more than that!" "Gavin was extremely helpful and listened to our needs. He was always very willing to give advice and answer any questions we had. Thank you Gavin for taking the time out of your busy days to see us!" "Gavin was fantastic with brokering and guiding our purchase. Even with a complex set of circumstances surrounding our inter-state move and an international buyer, he navigated the whole thing beautifully!" "Great guy. Very friendly. Not pushy or condescending. Coming from Montreal it was great to hear his knowledge of Toronto neighborhoods. Would totally work with Gavin again." "When I received a solid offer at asking price, I was prepared to jump on it. But Gavin did his due diligence and contacted others who had viewed my property to determine their interest. He ended up securing an offer for $170,000 above my asking price with an alternate buyer!" "This is my fourth real estate transaction with Gavin in the last few years. In all circumstances, Gavin surpassed my expectations by understanding my unique requirements and being able to deliver on them. His level of knowledge of the industry and the specific competition in the surrounding neighbourhood allowed him to uniquely position the listing in a way that maximizes my benefits. The transaction was seamless and efficient, and most importantly met the objective of maximizing value to his client. I will certainly continue referring Gavin to friends and family." "Paul's main reason for selecting Gavin to assist him is that Gavin was 'Highly Recommended' "
"Thanks Gavin. Excellent service. So happy!!!!" "Gavin was incredibly helpful throughout the entire process. His knowledge of renovations and associated costs was also very helpful when looking at older homes, and he always answered our questions, and responded very quickly." "Our experience with Gavin Chen has been excellent. He knows Toronto so well, and was quickly able to get a good sense of what we were looking for. He was efficient and never pushy. He was awesome at negotiation time and allowed us to stay within our budget. I would highly recommend him to anyone I know." "Sarah rated Gavin 5/5 for overall Service Excellence Performance. Skill, knowledge, positive personality and reputation being the main reasons for choosing Gavin to assist her"
"I have used Gavin before and have recommended him to friends. He is highly knowledgeable about both the real estate market and its rules and regulations. He is easy to deal with and has a great attention to detail." "Gavin provides an excellent service. Gavin Chen demonstrates a lot of patience with his clients. We were first time home buyers and our demands were high but he accomodated us. We learned a lot about Real Estate from buying to selling to remodel your new home. We really appreciate his work. Thank you." "Our experience with Gavin was nothing short of exceptional. From the beginning of the process to the end he was engaged, focused and helpful. We will definitely be recommending him to all of our family and friends." "Gavin was recommended to us by a few friends who have both worked with him several times. After working with him to find out new condo, we'd have no hesitation about recommending Gavin on to our friends as well!" "Gavin is trustworthy and to us that is the most important part of a relationship with a real estate agent. We trust his advice and his opinion. He makes us feel that he is working for us and not for himself. So long as he doesn't retire, we plan to use Gavin for all of our future Real Estate endeavours." "Gavin was fabulous. He responded to our last minute messages, came to us late at night when our scanner didn't work, and made this nerve-wracking process very smooth. His recommendations were spot on and resulted in our selling our condo just a few hours after listing it on the broker's MLS, for over asking. We couldn't be happier." "We were extremely satisfied with Gavin and with his whole team. He takes all of the work and worry out of real estate transactions. He is very professional, ethical, honest and very hard-working. We can't begin to describe our experience with Gavin and his team. Superb service and satisfaction! Thank-you!" "As first time home buyers we were extremely satisfied with Gavin's demeanor, efforts and skill as a realtor and we plan on recommending him to all our friends. He was a great educator on the entire process of finding, financing and investing in a home that will grow in value. He went beyond what we felt was the normal home-buying experience to investigate all the properties we were interested in, including doing comparisons of other houses sold in the areas, speaking with realtors, with whom he has developed great relationships (there seemed to be many), to find out more about the history of houses we were interested in, along with much, much more. Gavin treated my partner and I as equals. No matter how simple or complex the question, Gavin treated all questions as valid questions, patiently explaining the processes, effects and consequences. Can't say enough good things about Gavin." "Gavin assisted me in finding new tenant for my rental property. I live and work outside of the country and therefore it was important for me to work with someone who is efficient, understands the landlord and tenant act and delivers full service (not just finding a tenant but also conducting credit checks etc) - in this regards the services Gavin and his team delivered were excellent. He personally communicated with me to address any questions and ensured I was confident in the final candidates select to rent my property. He made what could be a complex and time-consuming process easy and stress free. Thanks ensuring that my best interests were always at the forefront and for a job well done." "It was a pleasure to work with Gavin. I found him to be extremely knowledgeable and trustworthy. He ensured all details were taken care of. Most importantly, he was friendly, understanding, flexible and really made sure that my needs were being met. I was very happy with how he negotiated for me. All in all, he made it a very positive experience. I would recommend him a million times over. He has made sure that I have had good industry contacts for mortgage, lawyer, contractors, etc. Thank you Gavin for all of your help in this process!" " I've been working with Gavin for several years now. He has "gone the extra mile" for me on many occasions. I trust him implicitly. Elena, in the office, has been very helpful as well." "As first-time homebuyers, we had a lot of anxiety. Gavin walked us through the process seamlessly - not least finding us a great place and negotiating a price we were very happy with." "My unit has been listed before and nothing like this has ever happened. I actually broke the record and sold for the highest price for a unit my size in my building thanks to Gavin. Did I mention he's also a snappy dresser?!" "Gavin is terrific - we worked with him in purchasing our new home and leasing our condo. We always felt like we were in good hands. He is skilled and helpful - we have total confidence in him. We've already referred family and friends to him and will continue to do so." "Gavin exceeded all our expectations during the transaction process. We will definitely recommend him to everyone we know. He is an exceptional agent and we look forward to working with him in the future." "Gavin has an excellent market knowledge and his expertise were invaluable to us when it came to selling our house. He was able to secure a price over asking and was professional and thoughtful throughout the process. We will definitely be recommending Gavin to friend's and family." "Gavin Chen is superb. I have already recommended him and Coldwell to other perspective home buyers. He is patient, professional, and extremely knowledgeable of the market and neighborhood home values. I can't list all of his excellent attributes (honest, approachable, respectful etc). He instills the highest level of confidence and I feel that I paid a fair price for our home because of his diligence. Gavin is a great agent and representative for Coldwell!" "Gavin handled the entire purchasing process in a very professional manner. He knew exactly what he was doing and fostered a sense of control on the entire transaction. Gavin will also be in charge of selling my current residence." "I couldn't have been more satisfied selling my home, and buying my new home with Gavin Chen and his team. Every step of the process I felt confident, comfortable and my every concern was addressed. His expertise was evident throughout and resulted in a fantastic sale on our property. 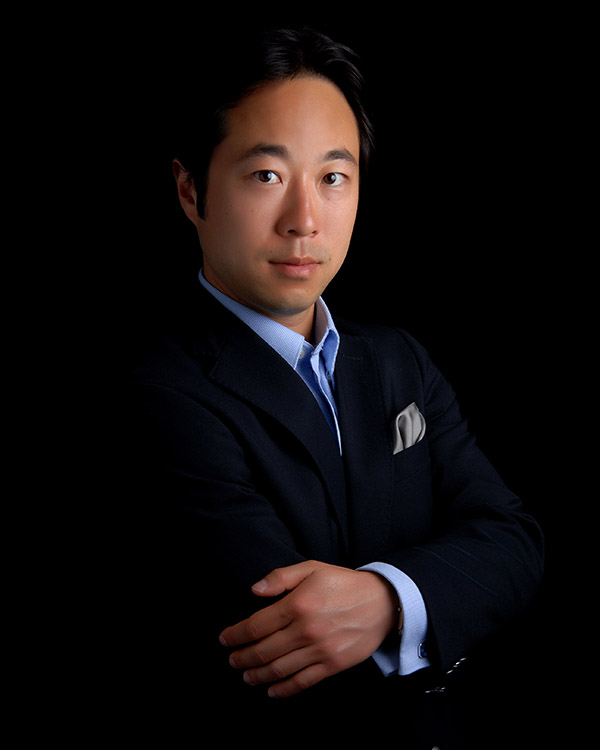 I cannot recommend him highly enough- Gavin Chen is the best realtor out there!" "Dear Gavin, I would like to thank you for your work, and the great assistance you were to me in selling the apartment for a good price. Gavin, it was professional working with you, something I can say after so many years, and different countries. As I saw, you sought after my own interests and not a simple sale. Your extra effort is appreciated." "Gavin, just wanted to thank you and your team for helping us find our great new place to live. We just got our keys yesterday and we are so happy with our unit. Thank you so much for all of your effort (and patience) that was put into finding us our ideal place. It was all greatly appreciated and we look forward to working with you one day in the future." "I am ecstatic with the level of service that Gavin provided. Gavin was recommended to me by a friend and upon my first meeting with him, I knew I would be in good hands. With my hectic work schedule, Gavin took care of everything from start to finish making the selling experience a very positive one. The process was quick and painless and stress-free! I am highly impressed with the way Gavin conducted the sale. Gavin's proven marketing and listing strategy resulted in my home securing multiple competing offers and selling for above list price. Needless to say, I would highly recommend The Gavin Chen Team to anyone without any hesitation"
"Gavin met my apprehensions about entering the world of home ownership with professionalism and patience. I may not have been his biggest client, but Gavin took my hopes and dreams for my first place seriously. In the end, I was able to find a condo in the middle of my favourite neighbourhoods in Toronto and along the way, worked with a realtor who is clearly passionate about his job." To our surprise, you made finding the right condo for us easy and pleasant. Moving from a four bedroom suburban home to a downtown condo that met our expectations was a significant undertaking. You patiently worked with us to understand and prioritize our must-have and would-like list of amenities. Your very professional and positive style helped us better understand and gain confidence in selecting the right condo for us. You always made yourself available to us at any time, followed up on units we expressed interest in and presented us with units that were always a good match. With each unit we viewed, you always told us about other similar units in the complex, how much they went for, how long they had been available and if the price was in line with other comparable units. There is no doubt in my mind that your insight and expertise was instrumental in negotiating a far better price than I would have otherwise expected possible. You quickly became much more than just a real estate agent; within days, you gained our confidence and trust and we felt we were working with a friend that had our best interest at heart – no doubt about it! With Gavin’s assistance, I rented a condo in the harbourfront area of downtown Toronto which I am very happy with. The real estate agent I retained before Gavin told me that she had little to no time to spend with me on account that I was only renting and not buying (I was new to Toronto and did not want to buy until I had a better idea of the location in which I wanted to buy). It was clear that she was solely concerned about her commission rather than providing excellent service and developing a potential long-term working relationship. I relayed this story to Gavin during our first conversation. He matter-of-fact told me that in working with me his commission would be low but that he would put in as much time and effort as was needed because he wanted to provide excellent service, develop a long-term working relationship with me and earn my business in the future. This impressed me. On account of Gavin’s honesty, practical business attitude, hard work and efforts in locating and showing properties to me (in addition to Gavin’s thorough knowledge of the downtown Toronto condo market, the close proximity of Gavin’s office to many of Toronto’s downtown condos and his professional but easy-going attitude), I look forward to retaining Gavin in the future and have no hesitation in recommending his services to others. By: James M. Cormark Securities Inc.
"I believe Gavin is truly the best realtor in the city. I used him initially to help find a condo to rent and finally to purchase a town home and in both circumstances he was thorough, professional, knowledgeable and incredibly personal with not only myself but also sellers and lessors. He's great at what he does and takes it very seriously, making sure that he stays up to date on not only current product but market trends and rental / purchasing logistics which was great for aftermarket support. I purchased my house in October 2007 and still keep in contact. I couldn't be happier with my experience." "Gavin made finding the right place for me straightforward and efficient. He was able to quickly educate me on which of the many buildings in the downtown Toronto area would suit my specific needs. Gavin had a strong knowledge of the condos he showed me and was great at outlining the pros and cons that I may not have seen otherwise. Gavin was both patient and honest in his answers to my many questions. He was professional and was flexible with his schedule. I am very pleased with the experience I had with Gavin and would recommend his services to anyone." 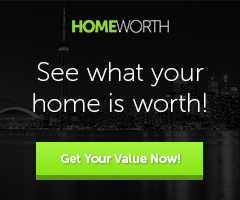 "Gavin made my first home purchase very easy, enjoyable, & pretty much stress free. Throughout the whole process Gavin was extremely professional, knowledgeable, patient & was never pushy. He completely understands how overwhelming & nerve wrecking the first purchase can be. It was a pleasure working with Gavin. I look forward to working with Gavin again in the future & highly recommend his service to the novice or experienced buyer." I had been looking for a condo off and on for about 5 years with no success. I'm not sure if my previous agent had another job but he was not available when I was and did not seem to want to look for a condo that I would be happy with and within my price range. I felt he was just looking for a "quick" sale. Gavin was recommended by my bank advisor and we first made contact in November 2006. Gavin immediately set me up to view listings via email that met my criteria. Unfortunately, at that time I was too busy at work to move forward with actually viewing the condos. We made arrangements to touch base again in January. Contact was made in January when things were less hectic and appointments set to view several condos. Unfortunately they were not what I was looking for and I was thinking I was never going to find a condo that met my picky criteria. From this first meeting, Gavin was very perceptive in narrowing down what he thought was important to me. Another appointment was set up the next week and I saw several condos with one in particular meeting most of the requirements I wanted in a condo. Throughout this process, Gavin was patient, professional, well informed on each condo, and gave me a real sense of comfort knowing he was thoroughly knowledgeable in the condo market. The condo most interesting to me was viewed again and the second time around, was interested in putting in an Offer. Within a few days, I had myself a condo that I am thoroughly happy with. I was totally impressed with the whole buying experience because Gavin made it so stress free. I would not hesitate to recommend Gavin to anyone looking to buy or sell. His patience, knowledge, impeccable manners and his strong work ethic along with his willingness to provide guidance after the sale says a lot for his professionalism and dedication to his work. Thanks Gavin. Gavin was a pleasure to work with from day one. He conducted himself very professionally, was very flexible with his schedule and was never late for appointments. He was extremely knowledgeable on all the properties I enquired about and was able to give me additional insight into the little things that I had overlooked such as hidden costs. Before Gavin, I had worked with three other agents, none of whom put in the same time and dedication or had the same knowledge base. I am extremely happy with the condo that I ended up buying through Gavin and am very thankful for him making a normally very stressful purchase run as smoothly as possible. I am also certain that due to his knowledge of the condo and the selling agents he was dealing with, I was able to get the best price possible. Most importantly, I did not feel pressured at all to make a decision at any stage, whereas I did feel pressured by other real estate agents I dealt with. I would most definitely refer Gavin as a real estate agent for anyone looking to either buy or rent a place. Thanks again Gavin!! "Gavin is a great Real Estate agent. I was very satisfied with his service that I recommended him to many people, who gave me great feedback about his service as well. He puts a lot of effort in understanding your needs and helps you make smart decisions. 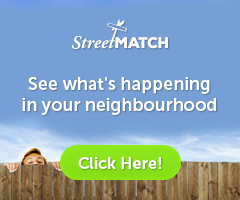 I would highly recommend anyone who needs to rent, buy or sell his/her place to go for Gavin." "Gavin is detail oriented, well-researched and extremely knowledgeable. He's professional in his approach and gave me sound recommendations and advice as a client." "Although Gavin is a Real Estate Agent by trade, his knowledge, expertise and abilities go far beyond that. I would trust Gavin to assist in every step of home buying - from assisting in getting a mortgage to recommending a drapes specialist. Gavin works agressively for his clients, he is personable, he is knowlegeable and he is noticeably always on time (which for professionals is very appreciated!) I would recommend him to anyone who requires assistance in finding a home." "Although Gavin is a Real Estate Agent by trade, his knowledge, expertise and abilities go far beyond that. I would trust Gavin to assist in every step of home buying - from assisting in getting a mortgage to recommending a drapes specialist. Gavin works aggressively for his clients, he is personable, he is knowledgeable and he is noticeably always on time (which for professionals is very appreciated!) I would recommend him to anyone who requires assistance in finding a home." "Gavin did an excellent job helping me search and find an apartment to rent in a great location for a great price. Gavin's knowledge of the area and amazing team of professionals including a mortgage broker, also helped with the purchase of an investment property (Triplex) in a completely different area. I look forward to working with Gavin again on any new real estate deal in the future." "I asked Gavin to help my brother find a condo. He moved extremely quickly and provided excellent advice with regards to what was reasonable to expect from a pricing perspective and did a great job getting the deal done." "When looking for a condo property to rent in the downtown Toronto area, Gavin took the time to understand what I was looking for & made wonderful suggestions. He spent a tremendous amount of time showing me properties both, online & in person. He took the time to explain the pros & cons of locations I was interested in. He is extremely knowledgeable, personable & committed to his clients. Gavin went above & beyond to ensure I was satisifed with my rental. I have recommended Gavin to my contacts in Toronto, as well as family & friends looking to relocate to various areas in Ontario. Now living in Halifax, if I could use Gavin for future real estate needs, I would in a heartbeat!" "Gavin located a great building for me that was perfectly suited to my needs and wishes. He is very client and results-oriented and I would certainly use him again in the future." "Wish I owned a company or were in need of his services and I would hire or use him again in a flash." "Gavin is second to none! I will always use Gavin as our Realtor and We will always suggest to our friends and family that they use him as well." "Gavin was a great asset to us when we were purchasing our first home. He was patient and knowledgeable and guided us through the process showing full respect for our comfort levels. Coupling his market knowledge and ability to read a situation, he executed a strategy that allowed us to emerge from a bidding war in a way that couldn't have worked out better." "Gavin has been a great real estate advisor for downtown properties. He helped me find my first rental property and then helped me buy a great loft after guiding me through literally hundreds of options." "I have a pleasure to work with Gavin both on the buyer and seller side. Bottom line - Gavin brings results which equals more money in your pocket (on both side of the transaction). Combine this with high level of integrity and professionalism - a winning combination! Highly recommended - I plan to have Gavin assist me again." "Gavin delivered high quality results in a professional and efficient manner. He provides honest and valuable input and always puts his clients first!"